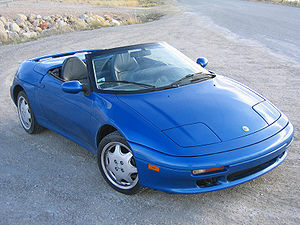 1991 Lotus Elan, my dream car. I first saw this car in the flesh at the 1990 Los Angeles Auto Show and I fell in love with it. The car at the show was this shade of yellow and this may be the same exact car. 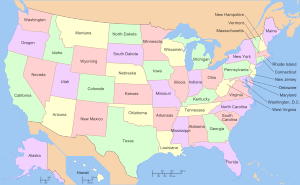 Only 550 cars were imported in model year 1991 and only a few in yellow. Most of the cars imported were a lovely shade of red, a few were British racing green, some white, very few in a beautiful Pacific blue and rarest of them all, black. The car retailed for $40,000 new and sells for $15,000 to $20,000 now depending upon mileage and condition. If I could afford it, I would buy this car today. I had the good fortune to test drive this car in great condition in Prescott, Arizona. The car was owned by a retired LA police officer and had been purchased new by a vice president of General Motors when GM owned Lotus. Then it was priced at $16,500 and came with about a foot of documentation including parts and shop manuals. The car was British racing green and was a blast to drive. Elan means passion or enthusiasm or stylish elegance, and the Lotus Elan is all of them. It gets great gas mileage and possesses a four-cylinder Isuzu engine for parts availability. When my wife and I married in 1976, we owned a 1976 Corvette. Driving that car was like being launched from a giant slingshot. Pressing the accelerator at a stoplight when it changed to green was to be shot out of a cannon. Moments later, the other cars at the light would dwindle to toys in the rear view mirror. We traded that car for 1977 Ferrari 308-GTB. Driving that car was an entirely different experience. It was like being strapped into a rocket sled used to test rocket engines in the 1950s. Rockets gain momentum initially very slowly and then they just disappear because the acceleration is so great. The Ferrari was slow out of the gate, but then when the engine approached 4000 rpm, it just went. The Corvette we owned was an automatic transmission, while the Ferrari was a manual and the Lotus is also a manual transmission. If asked to describe these cars in one word each, I would describe the Corvette as exhilarating, the Ferrari as serious and the Lotus as fun.